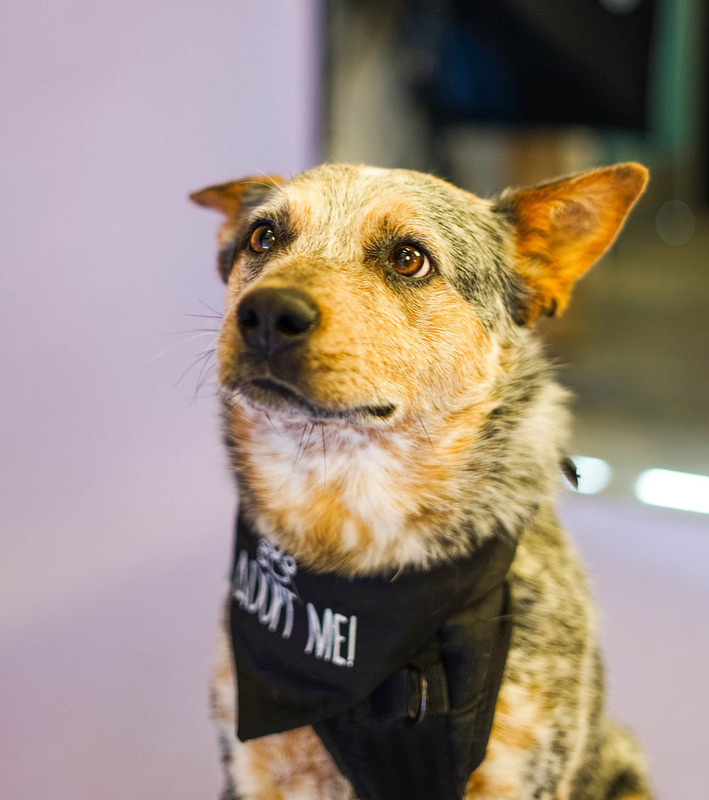 Chilton is an Australian Cattle Dog and is a complete cuddle bug. He’s around 40 pounds right now but will need to loose some weight. Home life seems to be brand new to him and he explores everything with cautious curiosity. He sleeps well in his crate at night and during the day and also loves car rides. He’s the calmest boy and loves to sleep the day away! He is learning the basics and working on his leash walking skills. He is friendly with other dogs and greets people politely on walks. He’s very gentle and gives endless kisses! As he gets comfortable and learns that he’s safe now, I think he’ll come out of his shell and get a bit more energy and excitement to explore the world!